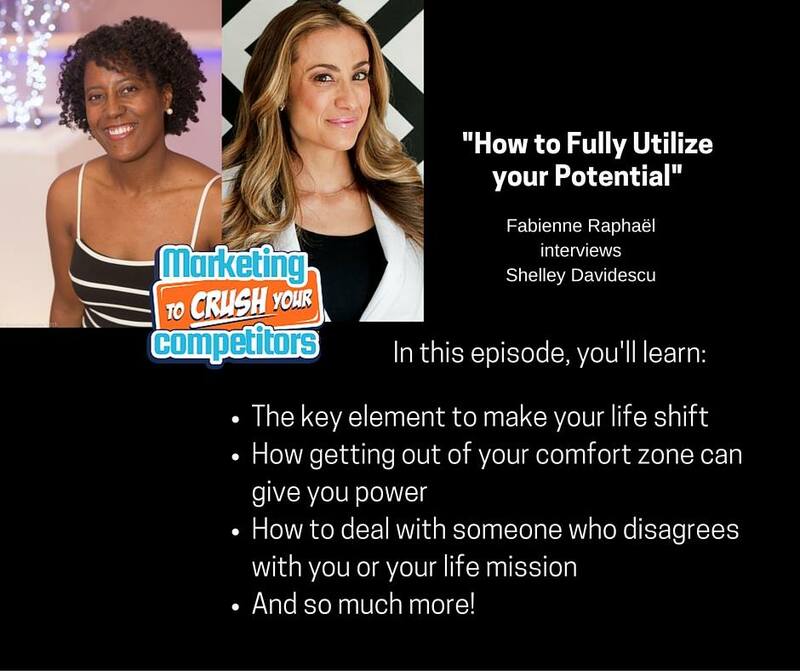 When you want to know how to crush your competitors with effective marketing, then Fabienne Raphaël is the person you want to do to. She used to be a full-time athlete and was even part of the Canadian Handball team for over 10 years. However, this has fully prepared her for becoming a successful businesswoman. As an athlete, Fabienne needed focus, discipline, to practice and repeat tactics, and become strategic about her play. And what finer skill set could any entrepreneur have? She’s used to always playing to win, and having to make sacrifices to achieve her goals. She possesses a willingness to do what it takes and has the focus and ability to get back up after getting knocked down. Now she’s helping people everywhere to grow their business. And she’s the best when it comes to making friends with influential people she doesn’t even know. 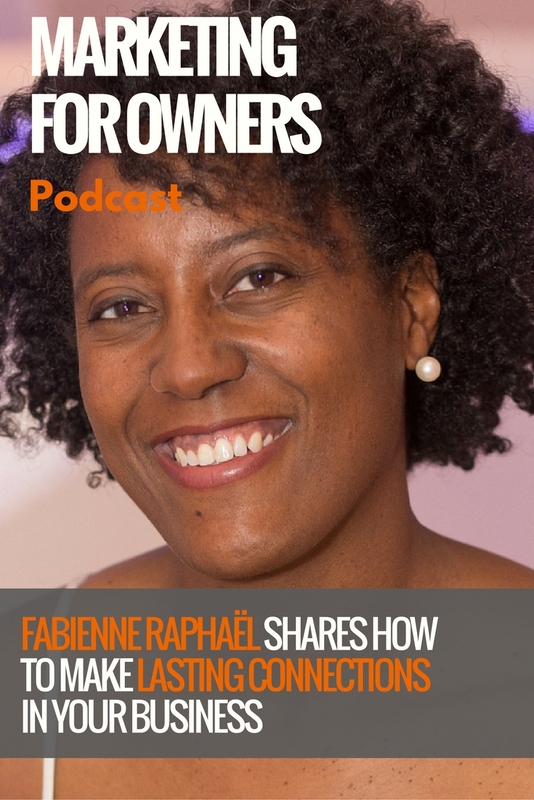 Fabienne tells us how we can make connections which will accelerate your business straight to the top. 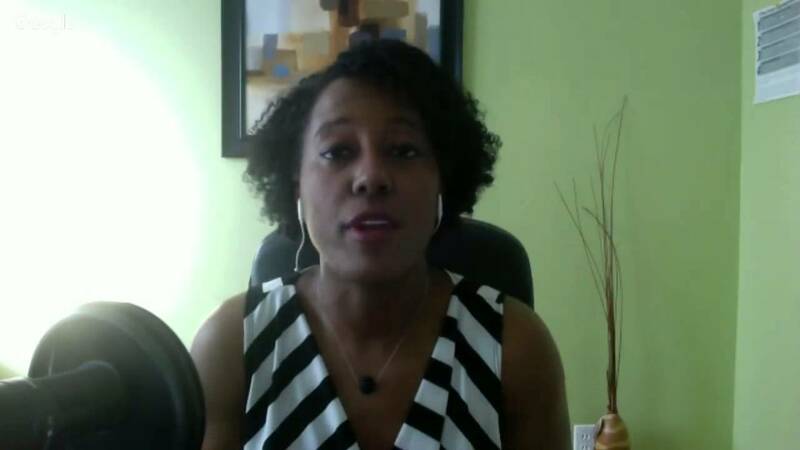 Her career change occurred after she met her now business (and life) partner. As someone who was reading all the business books and already working for himself, he’d had unintentionally had an influence on her. Fabienne had come from a family of people who always worked for other people, with good and secure jobs. So being her own boss wasn’t something that occurred to her. It was what she knew, and it was normal. So she left her job as a physical therapist and started her own business. However, her first attempt didn’t go to plan. In a bid to improve it, they attended a seminar on marketing by Dan Kennedy. After making a few changes, she saw success. But it then she decided that she wanted to help others with their marketing and business growth. She saw the need and opportunity existed, so took it upon herself to fulfil it. When Fabienne started out, she had a blogging coach who was helping her to improve her writing skills. However, he suggested that she looked at producing a podcast to achieve a wider reach. No-one knew who she was. But that didn’t stop her. She made sure to connect with people she knew, who knew other influencers, and ask for an introduction. Once she got one, that person would then recommend someone else and introduce them. And when you stand out and come across as a nice person, you’ll get remembered. And they will then be happy to help you in the future. In fact, they may even be able to recommend the next person you should interview. Very quickly you’ll find, just like Fabienne did, that your circle then becomes bigger. And what you’ll then find is that people want to get involved themselves. Plus, it makes pitching a lot easier when they can see that other people they respect have been a part of it. In fact, Fabienne states that 59% of marketers this year will invest their money into influencer marketers. But most importantly, when any influencer endorses you, it will help your reputation and extend your reach even further. In fact, it may even give your ego and confidence levels a helpful boost as well. That is what helps you to get out of your niche and into the wider market. And that then gifts you a chance to prove your worth to everyone and make even more worthwhile relationships. It’s at this point that you must remember that no-one is unreachable. After all, we’re all just humans, looking for friendships and wanting to help others. It’s important that you have confidence in yourself, and to not put people you admire up too high on a pedestal. Of course, it’s okay to consider the things they have achieved, and to have admiration for them, but you must find that common ground. No matter how important and successful you think they are, they’d much rather have a useful conversation with you than just hear someone else tell them how great they are. When Fabienne was working out who she should contact, she looked at who the speakers were at certain conferences to get an idea of who the major influencers were. And then picked the ones with whom she shared the same business ideals as her. This is how she managed to get great guests on her podcast when she was starting out. But, this really could apply to any marketing aspect of any business. When it comes to cold emailing, you’re approaching someone who you’ve never spoken to before. And before you even write the email, you must find a connection between you. You can’t just send them a template email, and just change the name if they’re lucky. You want it to feel as if you really do have a genuine interest in them. The personal touch really does work. As an example, she says that she gets emails every week. But the one’s which stand out with her take the time to actually tell her what episodes they’ve enjoyed, and what lessons they took away from it. And as you’re pitching yourself to them, you must remember to tell them what you can bring to their audience. It may take more time, but the first impression really does count. With this approach, you’re playing the slightly longer game. You read every email and blog they post and the podcasts they release. And then you comment on them. Add your personal experiences on the topic they’ve discussed. That shows your appreciation and actually proves that you’re a fan of their work. Your comments will help to add extra value to their posts, and it may well start a conversation which builds the relationship. And when your comments are there for all to see, other people will notice them, and you, as well. If you’re attending an event which an influencer is attended, just shoot them a quick message on Facebook. Ask if it would be okay for you to approach them after they’ve spoken. The worst thing that happens is that you don’t get a reply. But it will help to break the ice. And when you do go up to meet them after, they’ll recognize and remember you. That then makes it easier to connect with them again in the future. What comes around, goes around. Whenever you approach some, don’t ask what they can do for you, but what you can do for them. When you make effort selflessly, it will get noticed. And this is one of the many things which Fabienne teaches when she helps people to grow their businesses. She has some great guests on her podcast, and together they help her audience to become even more successful. And with over 200 episodes under her belt already, this proves that her system for contacting influencers really works. On her website, you can also grab her free list which tells you where to subscribe your podcast on many platforms. And Fabienne also invites you to join her private Facebook community: Connect, Build, Automate. All she asks is that you have a profile picture of yourself (cats and dogs are not allowed in).